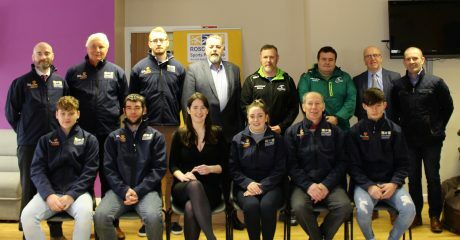 Galway Bay RFC, in conjunction with Galway Sports Partnership have assembled an outstanding cohort of Coaching Expertise for their upcoming seminar at the Ardilaun Hotel. It is a unique opportunity to learn best practice and modern trends in coaching youth sport. 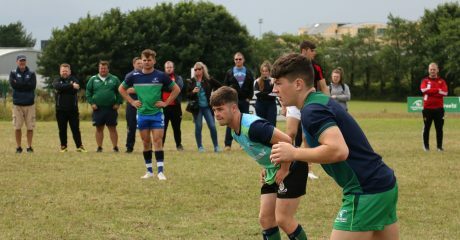 Connacht Rugby Head Coach, Andy Friend will open the event, fresh off the back of the provinces success in Belfast. Friend is in his first season with Connacht having previously coached the Australian sevens, Brumbies & Harlequins. Ed Coughlan, has worked with coaches of Dublin hurling and Mayo football as well as an array of international athletes. He has transformed the coaching process with many of the teams he has worked with by implementing the findings of his 20 years in skills acquisition. His methods involve combining sports skills, sport science and psychology into the perfect blend where players learn by being empowered by the coaching environment. 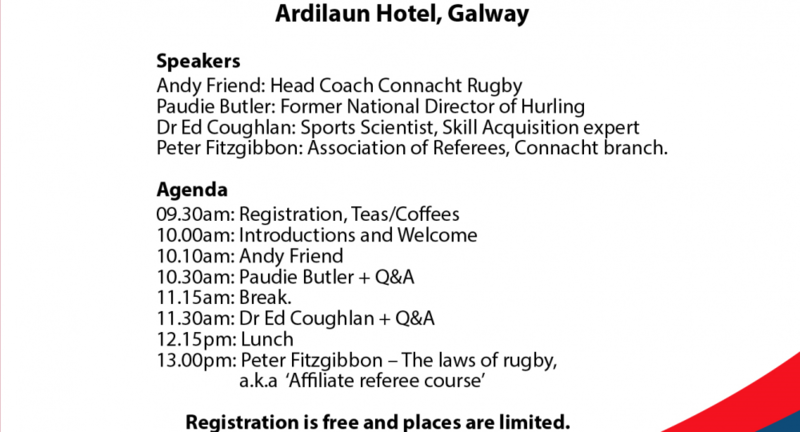 For those who wish to attend there is a second part to the day, where Rugby coaches can complete their Affiliate referees course under the tutelage of Pro14 referee, Peter Fitzgibbon. Attendees can attend either or both parts of the day. To register click HERE and fill out a short form.